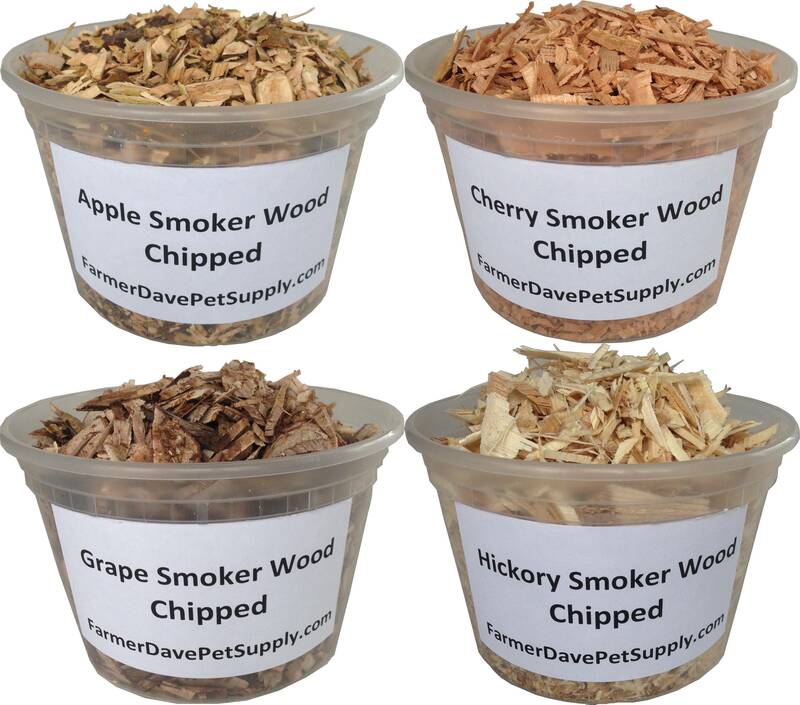 Hickory-Cherry-Apple-Grape Smoker Wood Variety Pack. One Pint Each: Hickory-Cherry-Apple-Grape Smoker Chips. 100% All Natural air-dried wood. The wood that pit masters prefer. Chipped for optimum use in consumer electric or propane smokers. Cherry: Slightly sweet mild smoke. Apple: Adds a subtle sweet fruity flavor. Grape: Adds a savory robust and aromatic fruit vine wood flavor.